tcp:// showing instead of https://... why is this? 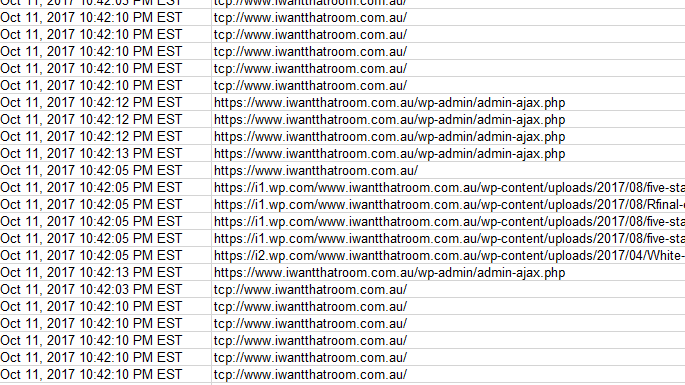 when I view my log I have been having requests from tcp://www.iwantthatroom.com.au and this is odd as it is usually https://www.iwantthatroom.com.au. 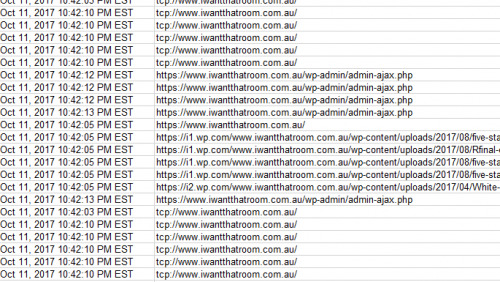 I have not logged in to the backend of my site from this computer with or with this IP address but it is showing tcp, what could be causing this? could it be a plugin?